Dr Edwards obtained his Ph.D. from the University of Manchester (UK) in 1979 after graduating with Honours from the University of Birmingham (UK) in 1975. He was appointed to a WHO supported Research Fellowship at the University of Liverpool in 1979 and currently holds a Senior Lectureship, jointly with the University and the Liverpool School of Tropical Medicine. Dr Edwards' research interests include drug metabolism and pharmacokinetics of antiparasitic drugs, particularly their role in the optimisation of drug treatment regimes. He organises undergraduate courses in antimicrobial chemotherapy, drug metabolism and pharmacokinetics. Dr Edwards' laboratory receives extensive funding from the Wellcome Trust, the World Health Organisation and the Pharmaceutical Industry. It regularly receives visitors from all over the world, notably from Africa and South East Asia. Dr Edwards has initiated a number of overseas research collaborations in these areas, principally with support from the Wellcome Trust. 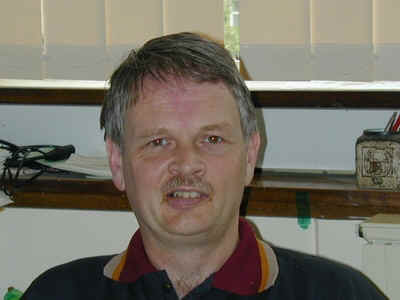 In 1995, Dr Edwards was Raine Visiting Fellow to the Faculty of Medicine, University of Western Australia. Dr Edwards is a regular member of WHO advisory panels, is on the Committee of the UK Drug Metabolism Group and is an Executive Editor of British Journal of Clinical Pharmacology specialising in drug metabolism and pharmacokinetics.